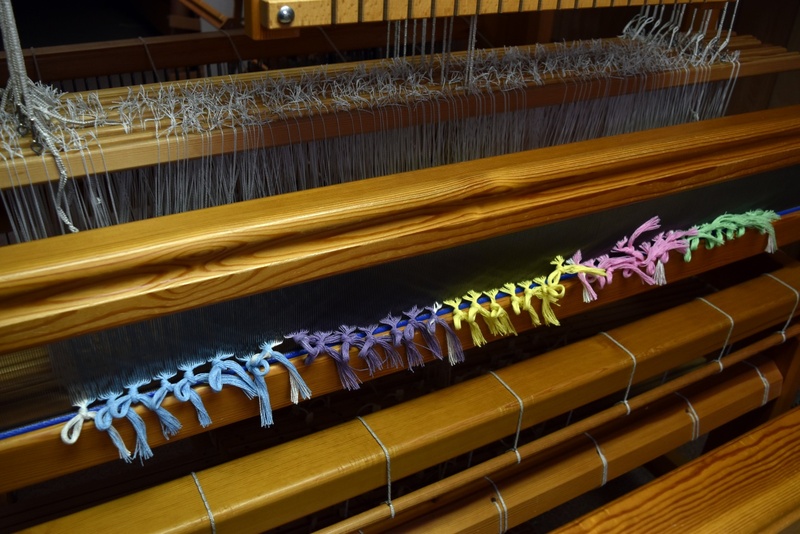 When My Looms Look Like This…. New Year, new month plus one, and this is the first week I’m faced with this…. This can be daunting if there aren’t any projects in the works, but it is also a refreshing point to be at early in the year. What could be better than facing a clean slate in the middle of winter when there’s time to ponder the possibilities? Many years, January sits on the far side of the holidays and the winter stretches before me in a quandary of unknown directions. Not so this year. The apron warps bridged Christmas and the New Year. The dark aprons sat finished with the blue warp planned but not yet warped. 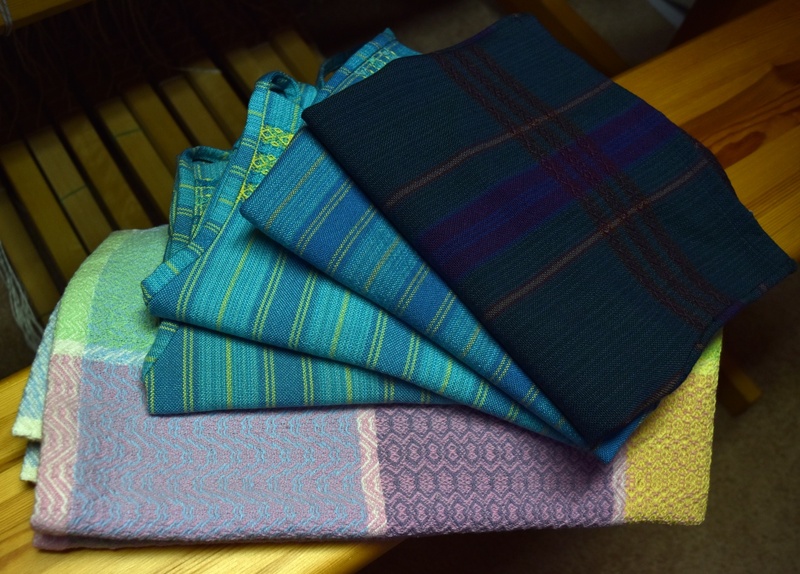 In between came a baby blanket order. Both projects kept me busy in the studio throughout January. So here I am, aprons and blankets neatly stacked, with that clean slate. Some years I formally make a list of what I want to weave by when. Other years, like last year, I set out to improve my skills in one area or another. 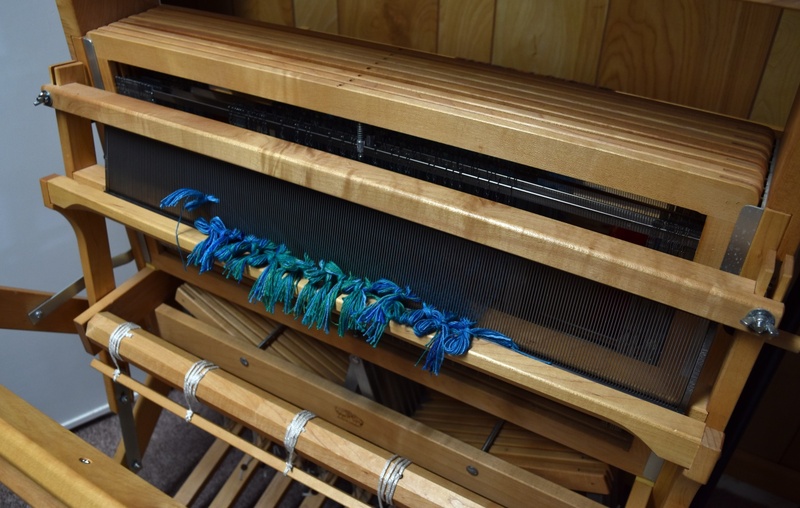 While I was throwing the shuttle these past few weeks, my mind casually wandered around all the possibilities waiting for the drawloom on the other side of my studio. 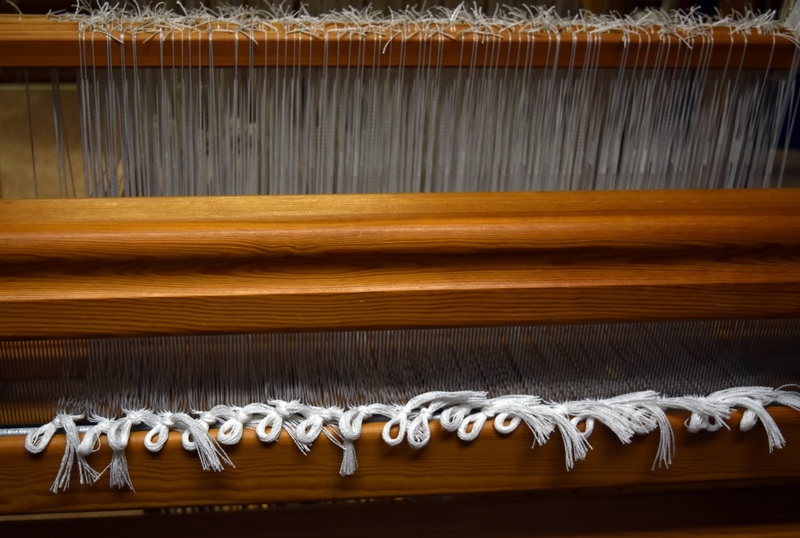 After finishing the opphämta hangings last fall, it has been patiently waiting for another warp. Maybe I should pay attention to where I’m wandering. So at least for the next while, I’m borrowing a bit from last year’s challenges. 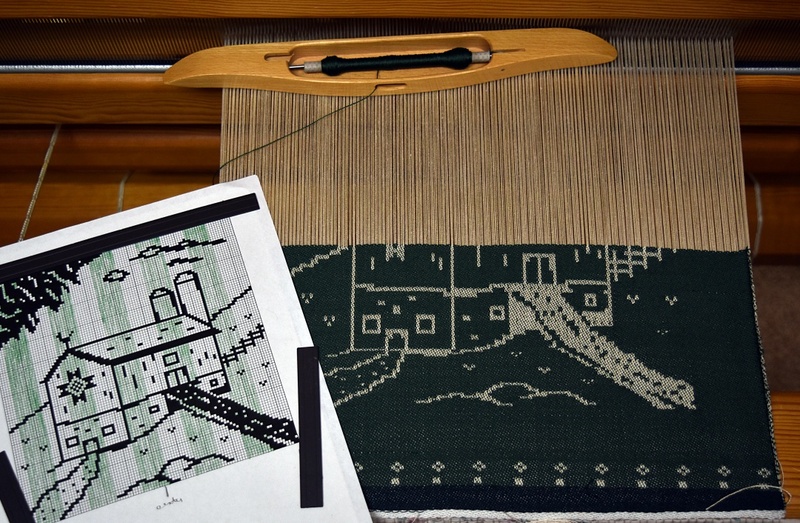 First step is to plan out a warp for satin damask and decide whether to work with 5-shaft satin or 8-shaft satin. 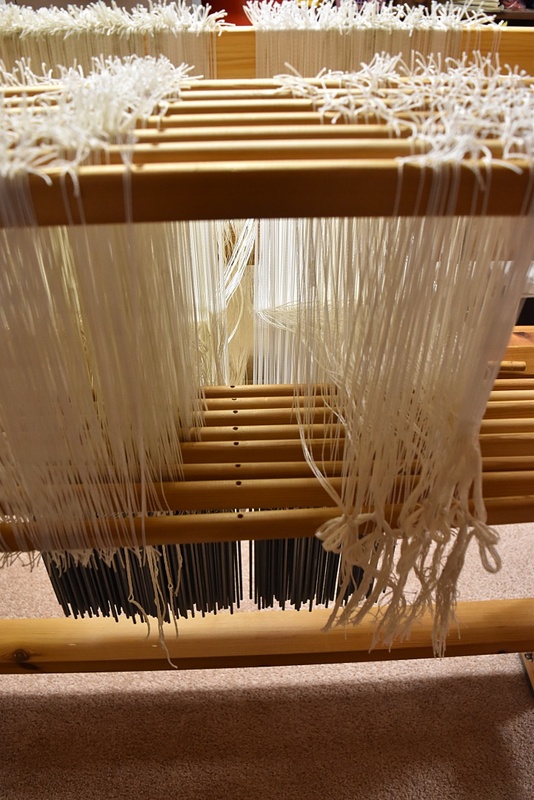 Then I’ll need to review how to dress the loom for single unit draw and spend some time graphing out a design or two or three. I’m not sure just what I want to try first, but it’ll be a pleasant exploration whatever it is.